Change point for vents given in AKM 0031 August 1976 1st Edition. That only refers to the chromed type - the ones we are looking at here are the ones with the early / taller knob. Same as Riley & Hornet. I would imagine that the change over for this detail is not listed ? The part number for right (CZH 654) and left (CZH 655) vents is the same in the 1976 parts book as the first AKD 5146 parts book printed in October 1969. I do not have an Elf/Hornet book to hand to compare the numbers for those. I don't think this is the case lads, but I could be wrong! The reason I say this is there is not one Radford part left on the car and any other car that has work done by both coachbuilders has features from both company's. Not even the Radford electric window fuse system is there! The easiest way to tell if it was in Radfords is to run your fingers inside the front scuttle to see if the holes are there for the Radford/elf chrome trim. Not all Radford,s had the waist line trim, and if it was a cheaper conversion without electric windows, there wouldnt be much/if any traces left. My 1970 1275GT had the second type of vent, not the first type. It was registered 24/09/1970. JC oh yes the did! Show me one mini de ville without them! 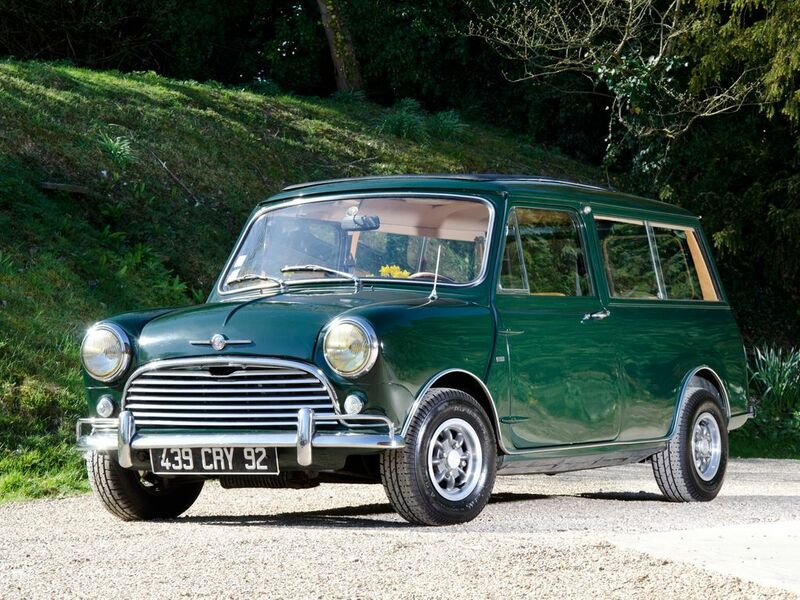 Even the early 63 basic conversion the Bel Aer Mini de Ville had them. It was Radford's main signature part. Here is another, and there are a few more in the group on FB. Dont forget that this is just another item on the Radford pricelist = item no 27. Tell the truth JC you just can't believe W&P's early cars were painted like most of the Radfords. Last edited by JC T ONE on Thu Oct 19, 2017 1:15 am, edited 4 times in total. nice that George gave the Texas owner the history. I do remember that George bought the two minis from the seller. I had forgotten it was Bob Grossman. Bob was famous in these parts. George used to have, and I'm sure it's still there, a scrap of paper which detailed all the toggle switches on the dash. He kept it in the glove box. 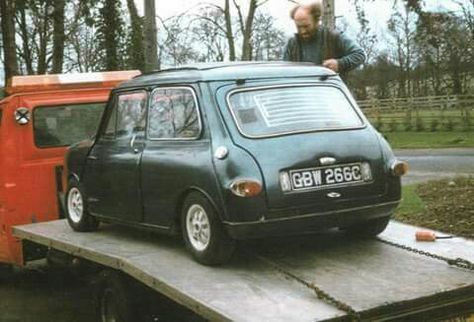 Ian, I'll dig out some pix of George and the mini. He once wore a gorilla suit and drove the car that way to my house to drive our minis in a local parade. And I think he drove it to the BMW unveiling of their prototype mini in NYC, USA at Chelsea Piers. I drove a mini pickup. Here is a original /unrestored one = http://www.motorvation.cc/PropDetail1.asp? Yes carabus never had them but that is a very unique set up. It had a black coachbuilt line instead. Last edited by Nevsmini on Thu Oct 19, 2017 8:28 am, edited 1 time in total.